The chance of obtaining any divination card is determined using weighting based on normal drop weighting, but is much better. This is comparable to The Gambler, but has a significantly higher chance of rewarding higher end divination cards. 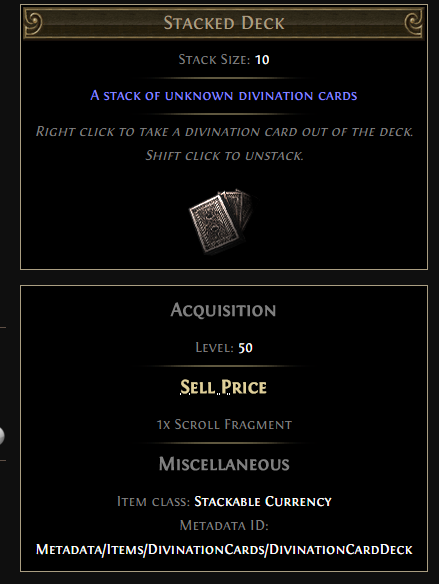 How can I get Stacked Deck in Path of Exile?